If you have an iPhone and play WallaBee, you have found the page you need to comment on to be gifted this ‘unique’ in the game. Your comment needs to have your WallaBee username, and tell me something you have found on this site that interests you. If you have a number preference, please send me a private message on WallaBee. I will try to accommodate your preference, just realise that someone else may have requested that number before you (through the game). I hope you have found something of interest here! Now you know my other passion (besides WallaBee!)! A special thanks to the WallaBee team, Andy (for the artwork), Ben, Simon, Alan and Miu! Artwork was based on the original logo designed by Justin Heim. This site is so comprehensive and a unique tool. It’s amazing to see how much is going on in the world that we have no idea about! Great job Bonnie and I wish you continued success in you’re work as THE information ninja!! I love the look and feel of this site. My favourites out of the sections I explored were Cadbury’s miles for smiles and the plating up the positives initiative. As a teacher I run across body image issues all the time and this looks like a great program. On WallaBee as here, I am crane2. Congrats on a lovely and informative website. Great Site. Just discovered that April the 19th is Diaphragmatic Hernia awareness day. Love the unique. 6 please. Hi!! This is maroo268! Congrats!!!! Awesome unique! Hi there, the site I will be taking a closer look at is the cancer day and all aspects around this. My father in law has just been booked in for surgery to remove a very small growth and although I don’t know the full ins and outs about it yet, it would make sense to read up and be prepared in case so the site is very useful. Many thanks, Colin. Wow, what an amazing awareness site. I like that all this information is available in one place. Did not know there were so many awareness days. Such a great resource. Great job. As my mother (73) is starting to show mental & memory problems (her health is great) I hope to learn a lot about it with the help of your site. No specific number but a DD would be great. My wallabee name is Clare Guest. As far as interest I like to keep up to date with recent findings to see if there would ever be a cure. I lost my dad to it in 2011 so it’s a part of my family history. I was happy to see Give Kids a Smile on this site. So many kids lack proper dental care and routine visits to the dentists could prevent so many health problems that result from their parents no being able to afford visits to a dentist. Awesome site. It’s great to have all the awareness days collated in one forum for easy referencing. Excellent work, I’ll definitely be returning now that I know the resource is here. Thank you!! I never knew that there was a website like this! It is awesome to know that you’re into this. I have definitely learned about some events that I am going to have to look into more! I would love a unique, and my username is soxchamp07. This website is a great idea, I love it! Hi there! This website is great! Very informative and a great reference point for people wanting more information on various conditions and diseases. The website is also easy to maneuver. Great website and cool idea to a distribute Wallabee unique! Any number is ok.
We lost my gran last year to oesophageal cancer and before that I was pretty unaware of it as i don’t think it’s a commonly known cancer however I’ve just realised that in Ireland they have awareness days. I’ve now bookmarked the page to learn more. Thanks for the info! Great idea for a website! Wow, fantastic site you have here. My 12 year old daughter was recently diagnosed with raynauds, I had no idea that there was an awareness day for this. Thank you so much for sharing. I would love one of your uniques please. My wallabee name is storms girl. My name is scottyallanb on Wallabee. The 28 the is rare disease day and my family is touched by this. I didn’t realize that when I quit smokining and occasionally eat way past when I’m full that I might have an eating disorder. Awesome site. Great to have all this info in one place! Thanks! or informing us all of this site! Some good information here that everyone can share. Interesting idea. Also mobile friendly! October 10th is World Mental Health day? I should’ve known this… although everyday should be mental health awareness day. So many people are relegated to silence because of the stigma of “abnormal” mental health. Thanks for spreading the word! 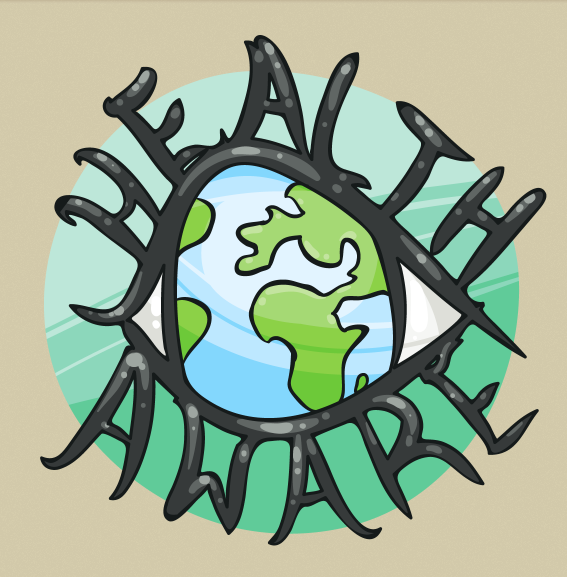 I really like the health aware icon with the earth as the eye. Very well done. I am a Wallabee player and my user name is Supermel. I would love your unique. I sent a. Friend request on the app. What a great site and unique item. As someone who has lost a loved one from a disease that would have been preventable with regular exams, it makes me glad to know that sites like this exist. Awareness is so important and it can save lives. I’ll definitely be checking this site out more in the future. My Wallabee name is baleensavage. Thanks. What a wonderful contribution….I have added this to my FAVORITES!!!! Great site! I like how everything is all on one site and you can easily access it. I work in a cancer center and we often have questions about different awareness days. Thanks! My Wallabee name is dkgmagee. Congrats on both the unique and this wonderful site – I can tell you have put so much work and passion into this. Awesome to have a central portal for so many events and issues important to all. Have just started browsing, but know there is lots to find and read! Thanks. Very interesting site. Lot of great information. Looking at previous months there seems to be something for everyone. Will give this a book mark. Thanks for the work and the site. This site is sobering. Your unique is spreading awareness in the WallaBee world, and we, in turn, will share with the so-called “real” world. 😉 One item that particularly caught my eye (since you asked) was Lollipop Day. How smart to name an awareness day for fun. Great site, congrats Bonnie! Nice way to keep track of events! Nice website. I’m the wallabee from Austin with the painted bunting bird avatar! I would love your unique. Any number. Your unique is raising awareness in WallaBee-land, and in turn, we will spread the word in the “real” world. One thing that particularly caught my eye (since you asked) is Lollipop Day. This is one that my kids would happily be involved in because of the element of fun. So smart! Great resource, congrats Bonnie!! My name is GatorGates and have no preference on what number unique. This is a cool site, very informational and easy to use. I would have to say that it all interests me, especially the Bike Day! I always like to get out and enjoy getting in some exercise! Thanks! Such an informative site! I will definitely be bookmarking this for future reference. Thanks! What a great resource Bonnie! It is amazing to have access to a comprehensive list of all of these different events. Wallabee player she2dancer. I didn’t realize how many awareness days there really are! It was great to look through the months and take note of a few!! Hello, Robbie here! I love all the info your site has all in ine place. Most folks probably don’t realize a lot if this is usually spread in different areas/fields that may have little or no overlap. Will be sharing your site with my family as most are medical professionals. Thanks for sharing with us! Thanks for the links! As a musician, I have to be so careful with my hearing. Tinnitus is a real worry. I found some great info (including an app that has a decibel meter in it) through your site. My username in WallaBee is Brian Tate and I’d love one of your uniques (number not important). Thanks again for sharing your passion! Very nice site Bonnie. You have done a ton of work! Did Ben have you release your item the day after OCD Awareness Week ended? I did not know about Rare Disease Day or a lot of other health related issues that I found here. Great resource. My son has a metabolic disorder. I wish we had something like this when he was younger. So many awareness days I wasn’t aware of. Thank you for the education. Congrats on the new site. Keep up the good work. Hi! What an interesting site! Glad to know you have such a worthwhile past time outside wallabee! Looking forward to adding your unique to my collection! This is a great website I am amazed at how many different illnesses are addressed I remember growing up having an epileptic as a Father it was very traumatic. Thankyou for making people aware of this site. This is an awesome website with a lot of content about a lot of different illnesses and diseases. I remember growing up with epilepsy in our house which was traumatic on the whole family. Thanks for making everyone aware to this website. Wallabee username: Baily. After looking over this site I would have to say that the mental health awareness struck my interest as I am familiar with the topic as well as the OCD day which Im pretty sure 99% of Wallabee suffer from to some degree. Lol. Thanks for sharing. This is an awesome site with so much information. I had no idea about all the things out there. Nice unique too! I’m shellynda in the game. I’ll look in greater depth when I get to work but you know who i am. It looks interesting. Tds to follow. Wow! I had no idea there were so many days for awareness! Great job on the website, it is very informative. I’ve been reading up on Alzheimer’s so thank you for directing me here. It would be great to join a team to spread awareness for the disease. This site is so comprehensive as a medical professional myself I love how each month is filled with dedicated topics wonderful content I’m trendycelebrity on wallabee and would love a unique congrats on a well written site. Great website! Very useful information! Great Idea and website!! Keep it up! I’m sad I missed International Belly Laugh Day! Very interesting site, a useful tool for us journalists. What a great website. I’ve posted a link to it on my Facebook page as I have many friends who may find it beneficial. It was interesting to read about some events that I was not aware of, such as Red Day. And thanks for being such a great Wallabee friend. My sister is pregnant right now so I was very happy to see “Pregnancy Awareness Week 2014”. She had health issues the last time and both her and my nephew almost didn’t make it through. 7 yrs later she is pregnant with her 2nd child. We are all watching her health very closly. Thank you for all the awareness. What a great resource, Bonnie – I had no idea there were so many Australian events! Good to see we are so well represented on an international level. Alison / Smurf. This is a wonderful resource Bonnie! I know how much time it takes to maintain and constantly update a website like this. Kudos to you!! Mahalo and Aloha from Hawaii, Carol (aka carolyhi on WallaBee). Great site! Quite a few awareness days I’ve never heard of, hopefully once I get back home I can volunteer and help out more. My user name is muchiefly! Great site! There are quite a few awareness days I wasn’t aware of lol. Hopefully once I get back home I can volunteer more. Thanks for the help with my article! My username is muchiefly! Nice work Bonnie. I followed the link to britains “bobble day” which intrigued me! I’m traciefrench in wallaworld. I love how you have all of the days for each sickness/health issue! You may want to add Noonan Syndrome Awareness Day, which is February 23rd. My screen name is nicbeatle. I would love your unique! Thanks! Feb is psychology month on Canada. Psychology can’t define normal or average, but is very valuable in correcting variant behavior. The mind is an amazing tangle of genetics, intelligence, environment and so many subtle ingredients. What a great site, well done Bonnie on all your hard work. Its a great comprehensive site full of information. Love the fact you can also add events and you have covered the whole world, including places many would not think of. A real one stop shop, brilliant. Great site! I plant to come back and check out the calendar often!! I work in health care technology and I think this is a great idea. Not sure how technical you are but if you used a content management system like Drupal you could categorize events by health factor, location, etc. best of luck! This is a great site.! I suffer from Raynauds and not many people really understand it. I didn’t realise there was a Raynauds month. I’ll be sharing this site on Twitter and FB. I learned that this week is eating disorder week. I had no idea that they had “weeks” for disorders to educate the public on certain types if illnesses. Very nice site Bonnie and such a great idea. Well done! I would love one! 🙂 thenebean9 – great resource! Hello! I just checked your Site and am impressed how many informations on Events in different countries you collected here. Great Job! Thank you a lot of information impressive. Thanks for the site! Checking out National Nutrition Month and your Pinterest. As a nurse this will become a resource for health awareness for my patients. This is a great resource! Thank you very much! I have shared it on my facebook page and followed it on Pinterest! What a great job! Nice site. Lots of useful information. MS awareness week is interesting. Njoy here. Very impressed at your dedication am passion for collecting such a wide range of information. A great resource. Thus was very informative-found many Australian days i wasnt aware of-and naturally the overseas days i found interesting too-Thank you for making me aware!! It is nice to see a central repository of this kind of information. I am Jeff from Orlando Florida in wallabee. Great website, a very useful resource, you’ve done a good job -purple-star. Just read about Kick Butts Day. I didn’t realize most smokers are heavily concentrated in the Eastern US. Wow. I never knew about 99% of these. Will share with some colleagues at work. I’m partial to the cancer sections of your site. I lost my left leg to clear cell sarcoma in 1993. I wish a cure could be found so we don’t have to amputate to save lives! I love the website, wishing the best for everybody the best for those with tough times ahead. NinTai from wallabee. I never realized there is an actual mental health day. I will be pushing for this day off this year! Great site and great unique! As I said on WallaBee, I’m down with an awful flu bug, but when I get to having more strength, and being able to stay awake & stay out of the restroom, I’ll be checking the site out more. From what I’ve seen in this quick look, it’s an awesome website!! I’m Marge on WallaBee & I collect #417 cards. Hi Danny, there are events from the UK there, they are the ones with (GB) beside them. That is the ISO code for the United Kingdom. The Site is very informative. I’m working in a pharmacy and we often try to give those special days a place like cancer, diabetes, special skin care, high pressure, heart attack, osteoporosis and so on. This is limited to Germany, but it is interesting to see how many other special days there are worldwide. If you know of any days in Germany, that have a web presence, I’d love to know about them! Last year I only found one (see Deutscher Lungentag in September 2013). Many events are global, and in many languages, I’m still trying to develop an easy way for people to find those! Awesome site! Great health tips as well. Hey! It’s adara916! I learned that my half birthday begins an awareness week! If you see any, I’m happy to add them (in Swedish) as long as I can get enough English translation to be sure it fits the criteria. Hi, from Cyntuu! Great resource! Kick Butts day is coming up soon and our school district participates by organizing competitions between student groups. Congrats, Bonnie! I checked out this site when the unique first came out and it’s really cool! I started reading the different events for HealthAware day and completely forgot about the unique part – I re-logged in today to make sure I grab one of this wonderful uniques 🙂 This website is now bookmarked for further reading in my free time (between the boings) lol… thanks for sharing! Found it interesting that Childhood Cancer Awareness month for GB came up in search (December 2013 – using mobile) but US didn’t (believe September? ). My daughter (8) was just this week declared NED after a Stage 4 Wilms diagnosis last May. 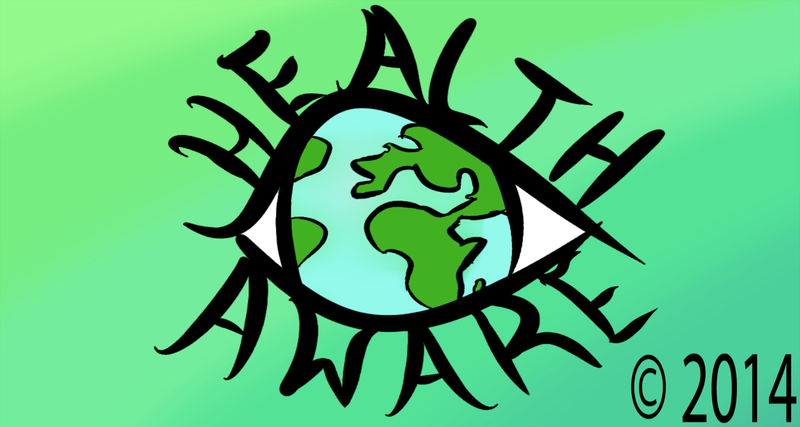 What a great site, I love health awareness projects! I’m a cancer survivor myself! Hi! I really like the design of your site and the vast amount of information available. Very nice and a worthy cause! Great site, Bonnie! Love the cause! What a great site with informative details about all of the awareness days. Thank you! My Wallabee user name is rhodychick. This website is pretty cool! It’s interesting and it’s for a great cause! Thank you. I like your website. I recently quit smoking so health awareness is important in my life. Hi!!! Really glad I checked out this site, I forgot that Autism Awareness Day is today! I almost forgot to put out my blue light !! This is Jpilkington on Wallabee, the # I collect is 125, but any number is fine! Wow a lot here, I’ll have to look around more but needed to comment before I run out of time! Great Job! I liked the way you can see what is being celebrated each day. Awesome site! Awesome use of networking and site visits! (My site is a fledgling at the moment.) And awesome unique! What a great site! I’m bookmarking so I can refer to it when I’m doing my day job (managing web and social media content for a health insurance co). Tick Week! That’s the thing that stuck out to me! Tick week is scarier than Shark Week, I think. Please let me know your username! Great site. I was especially I interested in the diabetes info as my father just got diagnosed. Would love a unique! My username is Liagiba84. This is very very cool. I’m tinkyw by the way. Thanks for doing good in the world. What a great resource you have created! I am hands2work on wallabee and I collect zeros. Anything ending in zero would make me happy. Very helpful website. From now on, I’ll use this website to check for dates and all health related events. Happy to find Sarcoma Awareness listed in July 2013!! Hope to see it in 2014!! Like I should be a whole lot more aware of them and spreading the word! Great to see so many and varied events to bring a community together for a cause! I’m spikybluegirl on Wallabee, and I’ve approved this message. Here from Wallabee! I like depression awareness week. Username is Elasky! Never knew there was so many unheard of awareness days around the world. Thanks for the heads up and for a unique. Hi! This site looks awesome! I’m Ninia on wallabee. Your unique looks awesome BonnieB. Can I have one? Fabulous website! You can never be too health aware. Excellent tools and links, really speculate it as an ex-RN! Great website, it must be a lot of work and is obviously a labor of love, good on you Bonnie. I noticed it is currently Carbon Monoxide Awareness Week here in Australia. I had an experience with a defective gas heater that was putting me to sleep, thankfully not permanently. Heaters need to be checked regularly because this is a hidden danger. Hi. Deliberatelyintentional here from WallaBee. I just want to say how amazing this site is. I suffer from clinical depression and to see that you have a site that supports awareness for depression is amazing. So many people seem to ignore it. So thank you for that. Also, I love how the site includes awareness weeks for countries all around the world. Wow… How did I not find this site sooner… Amazing content… I’ve bookmarked and will most definitely share amongst friends. Great work. Congratulations, simple but very useful. Seems like everyday is an awareness day! Will have to see if the is an adhesion day as I suffer from them. It’s an amazing site you put together. Lots of interesting and usefull information. I’m working in healthcare and I show it to some of my collegues they all love it. Best wishes botte! This is an amazing site! So many topics with available links all in one place. The Starlight Day site is awesome. Anytime we can do something for seriously ill kids, it’s a wonderful thing. The struggles these kids have to go through at such a young age is heartbreaking. Thank you for sharing this site with so many important links! The site looks great. This gives easy access tooltip on how to be take care of one’s health. Site is amazing! So much information in one place makes it hard to pick what was most interesting. Think I’d have to go with the areas on Allergies and Men’s Health since those were most applicable for me personally. What a wonderful resource for everyone to have at their finger tips. Great job on this website. (WallaBee user name is kagey). Thanks in advance for the lowest number available. Thanks for your comments. They are gifted in order, except for a few exceptions where people have requested a specific number. Enjoy. National immunization week! Woot woot!! What a great website! You can never over communicate healthy information. Love the information on Men’s Health. I collect 111, but not sure if that’s available. Great site! You do good job. Your listings about awareness day is very useful. I’ve now bookmarked the page to learn more about cancer. Many Thanks! Nice site, enjoyed exploring it a bit. Found some gluten-free stuff for my wife. Take care! This has heightened my awareness and the need to be ultra cautious about making good for others. I’ve therefore taken part in Montreal’s first allergy awareness walkathon earlier this year (if I’d known about this site earlier I woulda posted about it here!) and like to spread the word when I can. People need to be more mindful and sensitive about allergies – it’s not just a ‘thing’, it’s literally lives at stake. I think it’s great what your doing, maintaining a comprehensive resource for health awareness events. I hadn’t known, for example, that June is Migraine and Headaches Awareness Month. I have some friends and family members that suffer from migraines, and I’ll share the link to the National Headache Foundation with them. Thanks again. I love this site, Im impressed that you have included world wide events. Where I work, we always have awareness days and this site will be spread around my office. Thank You. Great informative website! This is saved to my favourites. Yeah! This is a cool Site! Gibts a Lot if Information! Carrot Walk! Looking ahead in 2014, I thought that was interesting and I never heard of a Carrot Walk! Lots of good information on this site. It kept me reading for hours! Lots of great information in one place! I love how comprehensive this site is! Fantastic work! Impressed by the website. I like the plan ahead section. Was not aware of national road victim month. Wallabee name is Statistically average. Thank you. Wonderful job on putting all this together. Many things I’ve never even heard of…very informative. Glad to see awareness of cleft palates as I am a supporter of Smile Train. Thank you for this website (and the unique). Very nice tool to find out about current events, very well put together. Dragon72926 is my wallabee username, and if you can spare it the lowest number you have, but anyone will be cool as seeing this is my first unique. THNX!!! A web site to talk about health, informing people providing a lot of infos about events in the world … great job ! Thereal. Thanks i could use one. I’d be happy to get your unique! Thanks! I really like the list of events for each country. Some of these can be hard to find. I work for Head Start with at-risk preschool children. This is a really great resource. My girlfriend has a son with autism and one that was born with bladder exstrophy. Anything to bring more attention to the public about these or other health issues is a wonderful thing. Thank you! This is a very helpfull website. Everyone will find something here that they need. Nice website! My username is Bananaman2356. Great site Bonnie. Well Done. Very comprehensive list of events and links. Loved that it has references to US, GB, and NZ as well as AU. Nice website with lots of great information. Very informative website. Lots of great information. Too much info to read in one night. Thanks for the link and for the Unique offer. What I like in particular is that this site includes a wide variety of countries. Health awareness is vitally important, no matter from wha country you are. I love having a place to go with a comprehensive list! Thanks for the Info. My Wallabee username is mojomedic. Wow, very comprehensive. I’ve even just submitted a favourite event of mine I participate in and support. I’m slieschke in Wallabee. Wow! Can’t believe the list of days! So many that are near and dear to my heart like the Mental Health, Women’s Health, etc. I am going to share with those in my life that these days represent! Its awesome to find a place with a comprehensive list! Keep up the great work! I’ll be gifting uniques in the morning, thanks for commenting! Awesome to see so many New Zealand events on here. It’s a pity that more of these events aren’t publicised better! Great work. Very interesting site! Funny to know my birthday has several things happening…..including something about getting rid of the fad diets…..I play Wallabee user Deanne…..would like my collected # if available but understand that it may not be available. Very nice to see the amount of illnesses that are represented here, as most do not get the full recognition they deserve. What an awesome undertaking! I can’t even imagine the amount of research and the hours you’ve put in compiling all this information. Congrats and keep up the amazing work! This site is amazingly useful! I had no idea that there was so many health related days in the world! This is defenantly one of my favorite websites and is going to be bookmarked! Thank you for all the work you have put into this website to help inform the world about the health awareness days they are missing! Great page…. Congratulations, from Caracas. Nice site for seeing what’s going on in the health calendar. Clickchik here working at a hospital puts this in a new perspective! I found all the dates pretty helpful and being aware of the other countries different awareness issues refreshing. Very interesting website, I didn’t realise we had a ‘love parks’ week in the UK will definitely be bookmarking the page to take a closer look. This is a great site. A lot of great information here. Like that you have so much information in one place. Thank you. A couple are near me so I can check them out. I will keep this available so I can give information out to my patients as well as my family. Thanks again for making it available in one place. Great site. Read all awareness days and I didn’t know it existed many of them. Thank you. Great website! I have added it to my favorites. Every time I come here, I learn something new! Thank you! Great website! I’ve already added one event that I know of that affects me personally, but I’ll be coming back to learn and contribute the things near to my heart. HelenGr fabulous website, so informative thank you. Thks for info it’s great of you to bring awareness. But it makes me sad to see all these horrible diseases and that we have to have special awareness days. Enjoyed viewing this website. Since I work for the state health department I am often writing stories on awareness events so this site will definitely come in handy for future assignments. Keep up the great work! I am Ground Fox in Wallabee. I like that you have included health awareness from all over the world. I am fascinated by people around the world getting together over the internet to support each other through difficult times. Congratulations on your site! Hey what a great idea for a site, will visit more, best regards arve. On wallabee also arve 🙂 keep up the good work! Who knew we were in Invisible Illness Week in the US. I didn’t! Thanks for all the good info on this site. Please send me a unique when you have a chance. So many many days/months with awareness causes! I knew September is childhood cancer month in the US, but not that it’s also in several other countries! Already bookmarked for future reference! Thank you for showing me such a cool database! I’m 3 days late for odd socks day! If only I had logged in a little sooner. Thanks for bringing this to my attention. Hi there! Great page, and a great initiative! I really didn’t know much about health awareness days or events before reading all this. You’ve really put a lot of heart and effort into this project – well done! Of course I would love the unique item as well. My username is stafffan, and since I’m trying to (re)collect those 1000s, I would be thrilled to have that number! Very informative site, will be bookmarking it for future reference. Hi, Bonnie. Your website is wonderful. What a great resource! I really like being able to look up health awareness dates by month – and that you track important days worldwide. What an impressive undertaking! So fantastic. The work that you have put in is breathtaking. I have bookmarked your site and will return (often). My WallaBee username is LondonMyst. My first comment seems to have vanished. I love your site. It has a wealth of information. I especially like that you’ve included worldwide health awareness days (with links). Thank you! I have bookmarked your site and will return, often. My WallaBee name is LondonMyst. Hi Bonnie. Actually don’t know much about this website. Is it some kind of social nexus which organizes on-line events? My wallabee accout is Kya. I’ve never heard of this site before and it’s fantastic!! I was obviously sent here from a link on Wallabee & I’m really glad I was. Apart from making me aware that there are far more conditions people suffer from than I ever knew – some I’ve not even heard of – for the problems I do have (I have two of the ‘invisible illnesses’ – chronic pain & mental health issues), I realise I’m not alone. Excellent site, most informative and one I will use for reference in future. My Wallabee username is Elli61. Thanks in advance for the unique. Well, I finally got here to comment. Nice website I like how you have the info arranged by dates, makes it much easier to find. My user name on WallaBee is The PrEditor. What a wonderful site. There are so many awareness days that I didn’t know about. Very interesting. Wallabee name is titanzbane and if you have 999,990,909,99,90 if not anything will do. Ty for all of this. Can’t wait to peruse the site some more and see what good information it has. Awesome site!!! There were several that caught my eye for various reasons. The one that stood out the most was the down’s syndrome awareness week in the firs of November. My husband and I have guardianship over a cousin with Down’s. She brings a smile across my face everyday and could not imagine what life would be without her. My WallaBee name is gingerose and I would be honored to have your unique in my set. This is a really cool site! I feel that the upcoming skin cancer awarness week is an awesome way to raise awareness on the issue! Keep doing what you do! As for the unique, id love anything td, thx! Thank you for all the wonderful work and awareness. This is truly a kind and informative site. Thank you for sharing this! I plan to look at your site more often.thanks for what you do! My passion is helping people and I love my job as a school social worker. I work with special needs children and many who are on the autism spectrum. I’m a librarian myself and understand your passion for sharing knowledge with others! I love seeing all of these health and wellness resources in one place! My WallaBee username is amyranth & I’d love to have one of your uniques! What an amazing website. If it wasn’t for Wallabee I wouldn’t have found this site, and I would be worse off for it. Love that global belly laugh day is soon!! Definitely will be celebrating that one!! Love your unique. New player and would love to add it. Username is freecyclestacy. Thanks so much!! Holy moley! I had no idea there were so many awareness days!!! I will be spending some more time perusing this very idea site. This is a great site BonnieB. Kithkan. I am dkb02 on wallabee. I found that your profession, being a medical librarian, is very interesting! I’ve never heard of that before! Also, I love your unique design. It’s awesome! Hey Bonnie. Don’t forget that November is the awareness month for prostatic cancer. Men grow their mustache to raise awareness, hence the campaign name Movember. Some airlines, including British Airways, even pait a mustache on one of their planes for the month. Just google Movember. Thanks, yes Movember has been listed here for years, Just waiting for the updates for 2015 to add it to the plan ahead page. What a fabulous resource of information. I run my company’s health and wellness committee and will use your calendar as a foundation to build events.